Keoni Ayala and his family were on a typical weekend fishing/camping adventure when his pole took a massive strike. He found the fish using a 6/0 Penn reel loaded with 80-lb test Ande line. 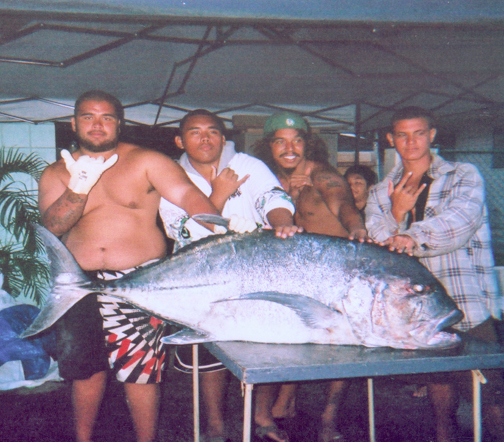 Everyone celebrated when he beached this 114-lb giant trevally. They weighed Keoni's awesome catch at Hanapa'a Fishing Supply.